Sign up for Beat Dinners and Mini-tours at the nearby SEJ table. If you didn’t sign up ahead of time for the Thursday tours, Saturday evening party, or Sunday morning breakfast, there may still be room — please check with registration. Sign up here for Beat Dinners and Mini-tours. Find information about membership and services, pick up copies of SEJournal, TipSheet, FOI WatchDog, High Country News, and other publications. Advance registration is required for all Thursday tours. Please dress for the outdoors and bring rain gear, a good pair of walking shoes and extra water. Shuttle buses will run from all downtown hotels (Holiday Inn at the Park, Doubletree Hotel-Edgewater, and Holiday Inn Express) to the University Center beginning at 5:30 a.m. In general, shuttles will pick up attendees about 30-45 minutes prior to departure time and bring you to the University Center. Check your shuttle schedule for details. Walking is an option. Check your walking directions for details. Location: Board buses in the South parking lot next to the University Center. Staff will be there to make sure you get on the right bus! Departure times vary (see below). Buses won't wait, so be sure to be on board before departure time! All buses will return to the University Center around 5:00 p.m. for the Independent Hospitality Receptions, where attendees will find hors d'oeuvres, drinks, press kits and good cheer. Wander the University Center's 3rd floor to enjoy the festivities. Conference attendees wishing to first stop by their hotel can remain on the buses and will be dropped off after the stop at the University Center. Another shuttle will be around to bring you back to the University Center. Check your shuttle schedule for details. Lake McDonald. © UM photo by Todd Goodrich. Glacier is the sparkling jewel along the Continental Divide, and is crucial for wildlife habitat connectivity in the Lower 48’s most intact ecosystem. Griz, wolf, wolverine and cougar still roam among mountain goats and bighorn sheep and elk and moose. But climate change threatens to melt the namesake glaciers within two decades and wreak havoc on ecosystems and wildlife. We’ll see some of the clearest, cleanest water in the world as we travel up McDonald Creek to Lake McDonald, stopping at Sacred Dancing Cascade. At the lake you can opt for a rigorous hike to alpine areas or more leisurely walks along interpretive trails. En route, you’ll pass Flathead Lake, the largest freshwater body in the West, and spectacular scenery around every bend. Drive time — 6 hours. Coverage. If you like humptys or hiking, Royal Wulffs or the howling kind, this tour will get you up early and out into the kind of last best places that Montana is famous for. We’ll use vans, not big buses, to transport small groups to wild areas outside Missoula. We’ll fish or hike through the early afternoon, then return to Missoula for micro-brews or warm coffee, along with fish stories and discussions with experts about how climate change is already impacting Big Sky Country wilderness, forests and trout. Drive time — 2-3 hours. 1. Woods Gulch in the Rattlesnake Recreation Area. This three hour loop hike ascends a drainage of mixed evergreens and shrubs to a forest service road, then loops through an extensive stand of large larch trees before descending through a separate pine-filled drainage and returning to the original trail. This area offers a variety of points to stop and consider the landscape and awesome long views of the Missoula valley and discuss the impacts climate change is having on Western Montana. Tour leaders are Bill Schneider who literally wrote the book on hiking in Montana and climate scientist Dave Morris, a wonderful field teacher and PhD candidate whose research focuses on the connections between climate change, natural resource policy, and disturbance ecology. This tour has a short van ride and will likely return ahead of the others. 2. Blodgett Canyon in the Bitterroot Mountains. This four-hour out and back follows the Blodgett Canyon creek and drainage into the Bitterroot National Forest. It offers some dramatic views and passes through a landscape fairly recently affected by wildfire. It will terminate at a waterfall, where we will gather and talk about climate change in western Montana. This hike is more likely to experience changeable weather than the other, with higher altitudes and possibly colder temperatures and precipitation. It is a rougher trail though neither is vey difficult for a person with basic fitness and coordination. This tour has a longer van ride, 1.5 to 2 hours, and will likely return closer to 5. SEJ Member Nadia White (that’s me) will lead that hike along with bark beetle expert Prof. Diana Six. © Clark Fork Superfund Site. Travel along a section of Montana’s historic, colorful and much-abused Clark Fork River, the 100-mile stretch that makes up one of the nation’s largest Superfund cleanup sites. Visit Butte, home of the immense Berkeley Pit copper mine, once the “richest hill on earth,” now ground zero for the massive cleanup. Stops also include: Anaconda, site of the Anaconda Copper Co.’s historic smelter works; Opportunity Ponds, where cleanup crews are depositing many tons of the contaminated soils, to the chagrin of local residents; ranches along the Clark Fork, where restoration work continues; and Milltown, where the cleanup included removal of a large dam. Drive time — 4 hours. Coverage. Take a tour along the glorious Blackfoot River — immortalized in the Norman Maclean memoir "A River Runs Through It" – and come face to face with the wide range of environmental issues in the West. Along the route, we’ll talk with rangers, ranchers and conservationists about living with wolves and grizzly bears; stop at the 28,000-acre Lubrecht Experimental Forest to learn about wildfires and pine beetles; find out how the river is nearly being loved to death by anglers and river runners after decades of poisoning from historic mining; and meet members of the Blackfoot Challenge, featured in Field & Stream magazine for their efforts to preserve large, intact landscapes that maintain rural lifestyles and benefit wildlife and fisheries. Drive time — 3 hours. Coverage. © UM photo by Todd Goodrich. Journey to the Flathead Indian Reservation and the majestic Mission Mountains to explore the intersection of traditional culture and natural resource management. The Confederated Salish and Kootenai Tribes are at the forefront of asserting sovereignty rights over natural resources. Along the Peoples’ Highway (aka US 93), check out the ecologically friendly features, including a dramatic wildlife overpass and underpasses that protect extensive wildlife corridors. Stop at the National Bison Range to learn about disagreements over how much authority the tribes should have in managing bison. A swing through the Ninepipe National Wildlife Refuge may yield sightings of migrating waterfowl, including reintroduced trumpeter swans. Other topics may include water rights negotiations, Flathead Lake and native fire management. Drive time — 3.5 hours. Coverage. Blog: Meet the tour leaders and follow the tour's development. Flathead Lake. Click to enlarge. Stretching for nearly 30 miles beneath shining snow-capped peaks, Flathead Lake is one of the largest freshwater lakes in the world — and one of the most pristine. Residents around the lake have taken measures to protect the fabled water quality, yet there are still many threats. Beneath the surface lurks an unnatural food web tangled by decades of human tinkering. Invasive species threaten native trout, and lakeside and upstream developments as far away as Canada generate pollution. Join us for a day on the Jessie B, a scientific research vessel. We’ll check out aliens and water quality with biologists, limnologists and other scientists at the University of Montana’s Flathead Lake Biological Research Station. Drive time — 3.5 hours. It’s hard enough to manage wildlife amidst a growing population and sprawl, but climate change complicates that task. We’ll hear from land managers and see some innovative efforts, including tribal biologists who have created bridges and tunnels across highways and protected land corridors to facilitate the movement of grizzly bears and other wildlife. We’ll see an urban elk herd, in Missoula’s backyard, and track it in real time on a computer. We’ll hear how wolves are intensively managed through hunting and non-lethal means. And, we’ll look at how climate change is affecting lynx and snowshoe hares, whose coat color isn’t changing fast enough to keep them camouflaged in a West with much less snow. Drive time — 3 hours. Explore places that will shape future wildfire policies throughout the West. Follow footsteps of men and women who fought two recent wildfires that threatened the Missoula area. Hike into burned areas and visit Missoula’s Aerial Fire Depot, home to America’s original Smokejumper Base and a birthplace of wildfire ecology research. Bus transits will be short to maximize time on the ground with scientists and other experts. Speakers will explain the costs (economic and ecological) of wildfire-suppression practices spanning a century; the risks (economic, social and political) of "let-it-burn" decisions; and the ethics of determining which places and human-made structures to try to "save" and why. Drive time — 2 hours. NOTE: This tour has been cancelled. Location: 3rd Floor, University Center; campus map. Visit our onsite bookstore, where you will find a variety of books for sale, published by SEJ members, invited speakers and University of Montana professors. Browse through the wealth of information in the foyers outside meeting rooms. Talk with experts about their hopes for new environmentally friendly innovations. Learn about educational opportunities. Add to your list of sources. And don't miss the tables in the Ballroom, where you'll find more literature to pick up and SEJ's Reading Room: SEJ members' work on display. 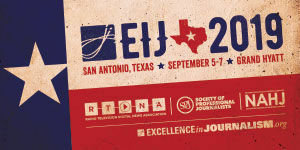 All SEJ members are welcome to attend the meeting of SEJ's board of directors. After the festivities quiet down, join us in the Theater for a one-hour synopsis of Ken Burns' PBS National Park Service series, introduced by Burns' regular collaborator, writer Dayton Duncan. Room: Theater, University Center; campus map. **NOTE: © Montage artwork on all conference pages courtesy Margaret Emerson.